Looks good! You should make the graphic a bit smaller, it looks pretty big right now. I'd love to see the nether crawling with these buggers. Fan of your threads and models. Glad you like mine. Will make graphic smaller. Yea, they could stretch. Most of em' are already two blocks long anyway. BTW OP, that maggot image looks almost exactly like those bouncing worms you encounter in Morrowind. thanks for the memories. Eh, I think small ones should be common, but the 2-3 block ones should be average size. The Nether maggots are supposed to add to the hellish feel, and giant (giantish. I mean the 2-3 block long ones) ones crawling all around just seems fitting of the place. 3; epic model how did you mak it?? Yea, they could perhaps leave a slime trail on surfaces. Its semi-unneeded though, they move pretty slow and randomly. I made it with a 3d modeling program called Blender. Its a little confusing at first, but I got the hang of it in 2 days of messing around, and watching 2-3 youtube tutorials (mainly on texturing). Best part about Blender is that its free. You know what I love about your mob ideas? They are original, and they're balanced. 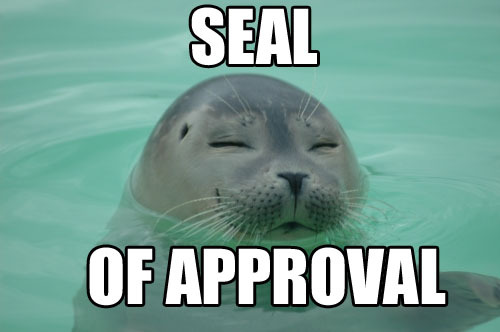 Oh and also, you have my block of approval. I would like to see these implemented into the game. I totally think the nether should have a least one new mob, since having only ghasts gets kind of boring. What if.. pigmen acted like spawners for small maggots, so the small ones would be extremely common in your base, and those firier, more well lit, areas. The 2-3 block large ones will already be more uncommon then them then, because they can only spawn in the dark. Mmmm.. This sounds as nearly crazy as my friend saying headcrabs from half life should be in minecraft, but still, good job! I aim to please ... and occasionally mentally scar. "Because it's your right as an American to butcher the English language." Hmm.. How about they swim on top of the lava? they remind me of kwama foragers of morrowind. Yea, the mobs do look pretty similar. btw, they are fireproof like all nether mobs right?